Ready for Rainbows! | A Fine Art's Preschool! The first day of school is Monday and the excitement of getting a semester started is overwhelming. We had many changes occur during 2012/2013 but we pushed forward finishing the year off strong. We miss our dear friends who have moved on to bigger horizons. We wish them well on their next journey. But, last week the teachers and I had serious work days. We painted all the classrooms. 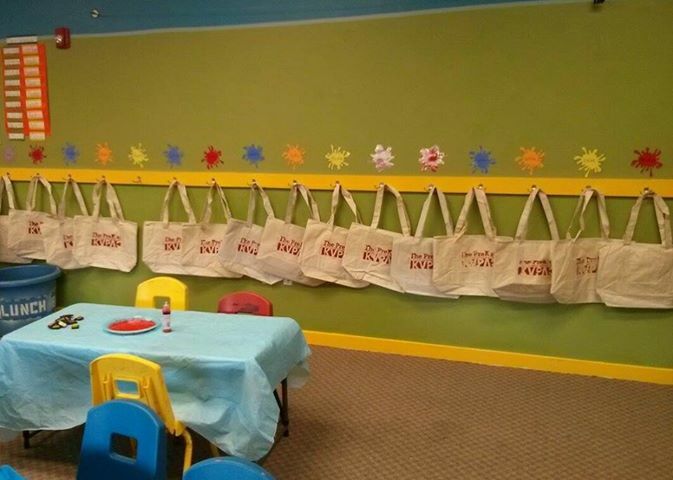 We are a non-profit preschool which means funds are minimal so we used our left over paint from the Theater department to create these colors. Beginner Classrooom is for ages 3 turning fall four in the fall. It is for our littlest budding artists! The Primary Classroom is our hybrid class which is for ages 4 turning 5 in Spring and moving on Kindergarten or staying at KVPAC another year. 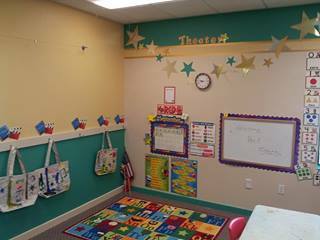 The Secondary Classroom is for ages 4 turning 5 fall and for kids that miss the deadline for kindergarten. I worked on our workroom getting everything organized. I’m still not finished it always a work in progress. But, I feel caught up and ready to start on Monday. We have done most of the physical improvements to the interior of the school but the exterior to be continued!! But, we are Ready for those Rainbows! Related articles-Some Different thoughts on back to school! Service Work: Being a member of a community! I'm the PreK director who loves spending time hanging out with my two boys. I love organizing and helping with homework. Can't stand doing laundry and I love Thai food. I hope to express my love of early childhood education and the importance early intervention. I’m expat Filipina and welcome to my diary, a mother’s guide to all newbie mom in Dubai! Little eyes. Little ears. Big dreams. Big changes. Filling your Cabinet with Resources, Curriculum, and Supplies.